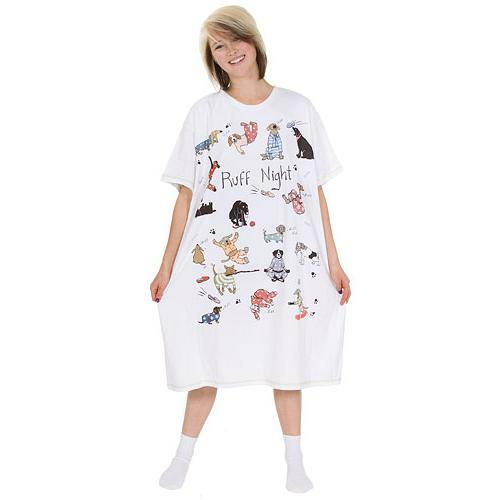 With a roomy fit for most women, this fun nightshirt is 40” long by 23” wide and made from cozy 100% cotton. 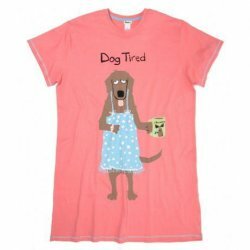 Here's a classic flannel pajama just for Dog Lovers from Munki Munki. You might like the matching pajama pant. Emerson Street "I'd Rather Be Tailgating" nightshirt in a bag. This "one size fits most" nightshirt is a white 100% cotton coverup with a thin black V neckline, and comes rolled in a cotton bag. Emerson’s art is not only featured on the nightshirt but is printed on the white drawstring cotton bag as well. So sorry but gift wrap is not available on this item. 36”length/25” width. 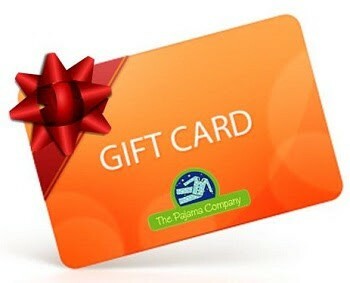 You might like these animal lover favorites also. Made in the USA. 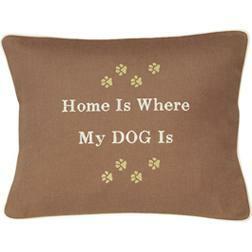 Celebrate Dog Lover Dad's with this soft 100% cotton t-shirt from LA Imprints. Check out our entire collection of Men's T-Shirts. Emerson Street "The Cat Did It!" nightshirt in a bag. This "one size fits most" nightshirt is a white 100% cotton coverup with a thin black V neckline, and comes rolled in a cotton bag. Emerson’s art is not only featured on the nightshirt but is printed on the white drawstring cotton bag as well. So sorry but gift wrap is not available on this item. 36”length/25”width. 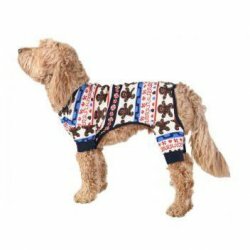 You might like to check out The Dog Did It! and our entire Emerson Street Animal Lovers collection. Made in the USA. We love our so popular Emerson Street "My Goal in Life is To Be The Sort of Person my dog Thinks I am!" nightshirt in a bag. This "one size fits most" nightshirt is a white 100% cotton coverup with a thin black V neckline, and comes rolled in a cotton bag. Emerson’s art is not only featured on the nightshirt but is printed on the white drawstring cotton bag as well. So sorry but gift wrap is not available on this item. 36”length/25”width. These "Party Pups" are simply adorable. Check out the matching classic pajama set. "It's a good day to have a good day" is our newest Emerson Street nightshirt in a bag. This one size fits most nightshirt is a white 100% cotton coverup with a thin black V neckline, and comes rolled in a cotton bag. Emerson's art is not only featured on the nightshirt but is printed on the white drawstring bag as well. We are so sorry but gift wrap is not available for this item. You might like to see our entire nightshirt in a bag collection. 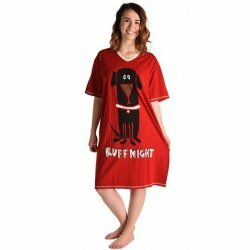 New Emerson Street "Dogs Are Proof That God Love Us and Wants Us to be Happy" nightshirt in a bag. This "one size fits most" nightshirt is a white 100% cotton coverup with a thin black V neckline, and comes rolled in a cotton bag. Emerson's art is not only featured on the nightshirt but is printed on the white drawstring bag as well. So sorry but gift wrap is not available on this item. 36”length/25”width. Meet our newest "Supermodel" Adril. 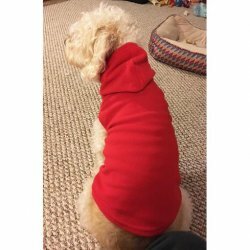 Our pet hoodie sweater is fashioned out of a durable soft and warm micro polar red fleece. This is a perfect pajama match for our micro polar fleece red footie pajamas for kids and adults in classic fleece footie, jersey and hooded footie.